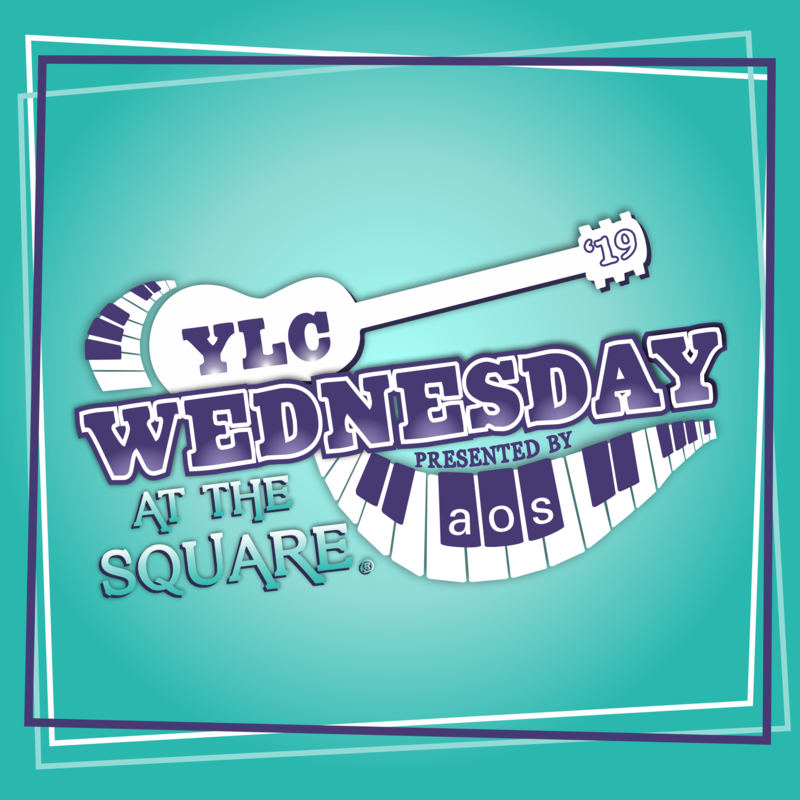 Announcing YLC’s 2019 Wednesday at the Square Concert Dates & Title Sponsor! YLC wants you to save the dates for our 2019 YLC Wednesday at the Square season! Announcing the 2019 YLC Wednesday at the Square Concert Dates & Title Sponsor! NEW ORLEANS – December 5, 2018: Young Leadership Council (YLC) has announced the concert dates for their 2019 YLC Wednesday at the Square concert season, and their second-year partnership with AOS Interior Environments as the concert series’ 2019 Title Sponsor. AOS is the largest provider of commercial furnishings, prefab interior construction, and storage solutions in Louisiana and Mississippi, and has been serving the region for more than 42 years. The 2019 YLC Wednesday at the Square season is scheduled to run each Wednesday for 10 weeks, March 20 through May 22. Rain dates for the series are scheduled for May 29, June 5, and June 12. The concerts will take place at Lafayette Square in downtown New Orleans from 5 – 8 pm. Next season’s band lineup will be announced in 2019. YLC is now accepting applications for food, artist, and nonprofit organization vendors for the 2019 YLC Wednesday at the Square season. To learn more and apply visit www.ylcnola.org/wats-applications. The YLC Wednesday at the Square concert series is free and open to the public. Proceeds from food and drink sales at each concert benefit YLC’s community service projects and leadership development programs, which are designed to improve the quality of life in the Greater New Orleans area and foster leadership skills in young professionals. Information about YLC Wednesday at the Square and YLC’s community service projects is available at www.ylcnola.org, and on Facebook, Twitter, and Instagram at @ylcwats. Single-concert and multiple-concert sponsorships for the 2019 series are available, including video screen advertising opportunities. To learn more about sponsoring YLC Wednesday at the Square contact Liz Waller, Events and Sponsorship Manager, at liz@ylcnola.org. Young Leadership Council is a nonprofit, nonpartisan, civic organization created to develop leadership through community service. Through volunteer-led community projects, YLC recruits and retains young professionals to New Orleans, creating a positive impact on the quality of life in the region. The oldest, independent young professionals’ organization in the country, YLC has supported the New Orleans area since 1986.